THE ENTHUSIAST AND HIS ASTRA: The measurement and control technician Frank Bezanis, who hails from Herrieden in Franconia, is a dyed-in-the-wool Opel fan – and he is currently driving his sixth such vehicle. The Astra 2.0 DTI 16 V has never let him down, even after an impressive 509,000 kilometers on the road. 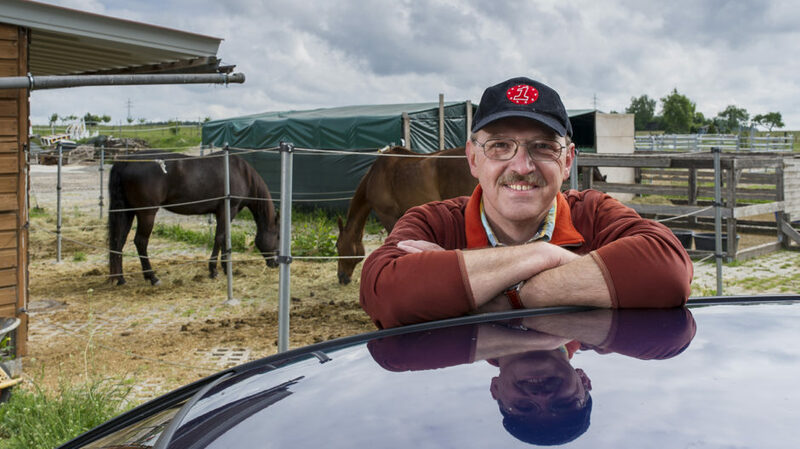 Every day each week, Bezanis drives from his home in Herrieden to work in Nuremberg and back, then off to the stables to feed his horse and muck out the stall. 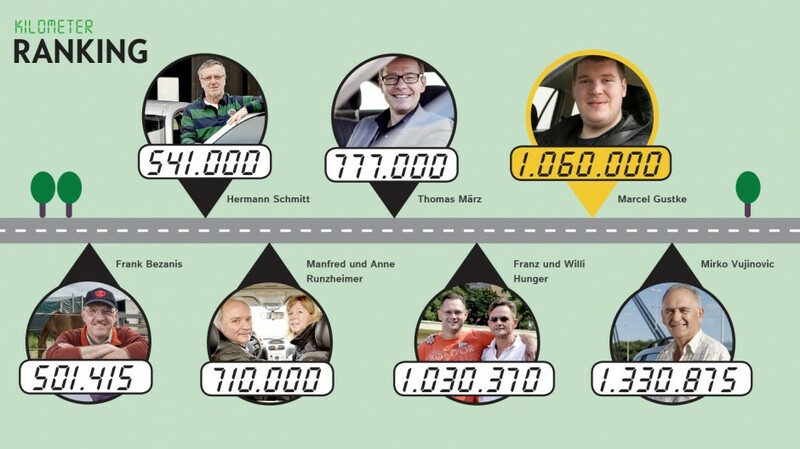 That means that he drives a grand total of 150 kilometers every day of the week. THE MASTER BELLFOUNDER AND HIS ASTRA: For years, Hermann Schmitt, senior partner of his family’s bell foundry, has been a dedicated Opel driver. “I drive between 100 and 300 kilometers every day of the week. We have to prepare the bell-founding process at the customer site, measure the mold, and deliver our quotes,” says the bellmaker. And he sure does love his Opel. 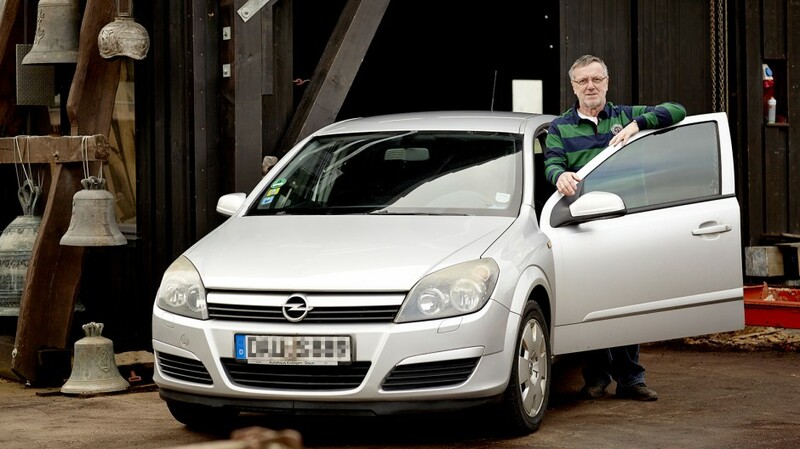 The odometer of his Astra now reads over 541,000 kilometers, and the car just keeps on trucking – there is just no reason for him to look for a new vehicle. 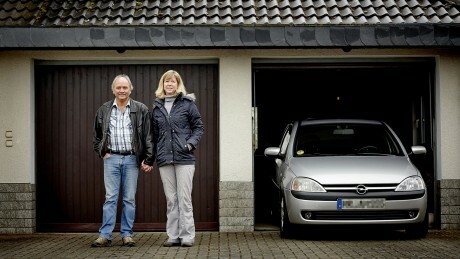 THE COMMUTER AND HIS CORSA: Master electrician Manfred Runzheimer has been commuting between his home town of Biedenkopf and Höchst (Frankfurt) in his 75-hp Corsa Sport 1.7 DTI every day for 12 years – that’s 110 kilometers each way, or three hours behind the wheel. But Runzheimer is happy to invest the time if it means spending the evening with his family. He has covered 710,000 kilometers in his Corsa. “That is the exact distance of a round trip to the moon,” he says. A gift from his uncle made Marcel Gustke a millionaire overnight – in terms of kilometers, that is. For a year and a half, Gustke has been driving all over Mainz and the surrounding area in his Astra. 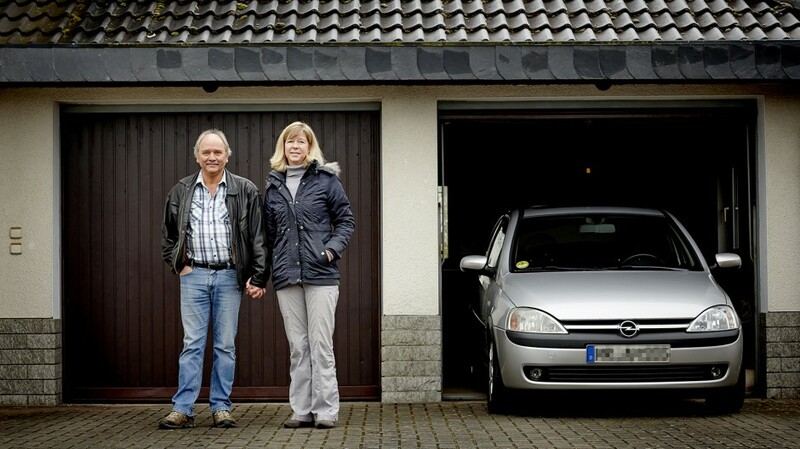 Uncle Jürgen started his nephew out on the right track when he presented him with his old Opel Astra 1.6 Caravan a year and a half ago. “This car has been all over Europe. It has culture. So take good care of it.” Marcel Gustke truly took those words to heart. Since then, the 24-year-old has driven the 16-year-old vehicle all over the region for Freigeist, an art association based in Mainz. He transports paint, tools, paintings, and sculptures while his workhorse eats up the kilometers one at a time. The odometer reads over a million kilometers. Well, actually, it doesn’t exactly – the odometer only goes up to 999,999, so it is currently clocking in at about 60,000 kilometers. But the vehicle looks a little bit old for that. Old but reliable – and how! Jürgen Gustke purchased the vehicle in 1999 for his shipping company, which is based out of Kelsterbach and ships materials from the Frankfurt Airport to all different locations – sometimes along fairly rough roads, as it is easy to see from the various chips in the paint caused by flying gravel. For ten years, the Caravan was a regular fixture in the company’s fleet, and because Gustke’s vehicles are primarily passed down through the family, Uncle Birger was first offered the chance to saddle up the old workhorse. He wasn’t much of an expert when it came to cars though, so when nephew Marcel took it over in 2013, the old Caravan was in need of more than a few repairs. Everlasting: The car’s first engine is still purring under the hood. Luckily he knew what he was doing – he had trained as an industrial mechanic at Opel. Now he works shifts at Böhringer in Ingelheim. As a Freigeist artist, Marcel Gustke specializes in metal sculpture – and even these need to be transported from time to time. Everything seems to fit in the Astra. “I work mostly within the region for Freigeist,” says the 24-year-old. “But I’ve taken the car with me to France and Hamburg, too. It ran like a dream.” It only stalled once: “Luckily it happened close to home, in the Lerchenberg district of Mainz.” The hydraulics gave out. However that’s been repaired in the meantime. Next he will be taking care of the oil leaks that are currently being soaked up by cardboard laid out in the parking space reserved for the car. With a million kilometers on its odometer, there is always work to be done – even if the car’s first engine is still purring under the hood. Marcel Gustke easily finds his spare parts on Amazon or eBay, but the proud owner knows that the car will not run forever. Luckily, he is artist enough not to plan out its future too meticulously. “We’ll see,” he says.